Dr Joseph Sebarenzi has a bachelor’s degree in sociology, a master’s degree in international and intercultural management, and a PhD in law. He specializes in international human rights and conflict management. 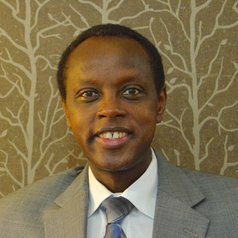 Dr Sebarenzi worked as a high school teacher in Rwanda; worked as an executive in non-governmental organizations in Rwanda, Burundi, and in the Democratic Republic of Congo, and served as speaker of the Rwanda Parliament from 1997 to 2000. As Speaker, he was referred to by many as an independent politician bent on denouncing abuses and enhancing the independence and role of the parliament. Dr Sebarenzi serves on the faculty of CONTACT at the School for International Training/Graduate Institute; speaks about reconciliation, forgiveness, and conflict management at colleges, universities, and events in the United States; and regularly appears and speaks on radio and TV including NPR, BBC and Voice of America.